Decent price for an excellent (and healthy alternative) product. As good as any commercially available non-applicator tampons without the problematic chemicals. Worth the price. Only product I use. Works great and I feel more comfortable knowing that there aren't chemicals. A decent price and it's worth it to spend a little more for organic tampons. I find the abosrbancy to be pretty good too. 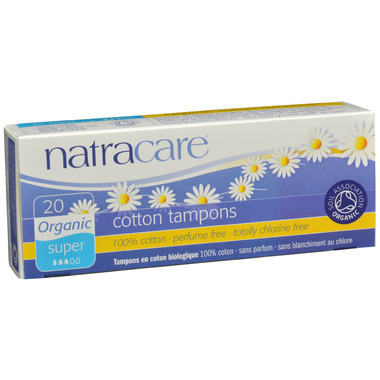 These are the only brand I use - how can you go wrong with non-applicator organic tampons? Only thing keeping it from 5 stars is that the plastic overlay is sometimes hard to get started for opening. Either than that, great product! I feel better using this product over other brands, however I find that they aren't as absorbent. They've never failed me yet! Works just as well if not better than the normal chemical laden plaice **** we generally go for! Within 45 minutes there was no protection and the applicators are terrible quality. I've tried this product over and over hoping for better results, but never the case. Love this product, nice and comfy! Great product, won't use any other brand. Best price I've found is on this site. I'm happy to find these organic tampons, that work as good, if not better, than other regular tampons I've used before. I wish they were sold in bigger box. Great product, works as good as any other kind I've ever used. Happy to find these organic tampons. I wish that they were in paper packaging though. Feel good about using tampons that do not use chlorine bleach. However sometimes the cotton does fray a bit. A little pricey, but peace of mind knowing I'm using organic cotton. I do also have to get the "super" tampons from this brand, whereas other brands I only need "regular". They may be a little less absorbent. But again... great to have the option of organic cotton inside you all day then something with many chemicals. These are the only tampons I can use as they not irritate me. Wish I would have found these much earlier in life! Great organic product. Have to change often on heavy days, but worth it since they're not as harmful for you (bleaches etc). I was happy to purchase an organic cotton sanitary product. However, I was very disappointed to discover that in order to use these tampons without leaking, I needed to also wear a pad. It's possible that my flow required a more absorbent tampon. However, since these are Super absorbency, I thought they would be enough for me. I'm going to try using the MoonCup instead for less waste! Been using it for many years as it is chlorine free (bleach free) & all cotton - otherwise I'd be really stuck! The best organic, all-cotton, all-natural tampons I have ever tried. A good brand I trust. I sometimes re-use an old plastic applicator to facilitate insertion. these are great tampons. i buy them every couple of months. like the non-applicator style best. just need a little k-y or something to make it smoother. It is worth the extra cost to use Natracare. It does not leave you with physical side-effects that can occur by using toxic standard brand tampons. It's hard to ever find tampons that are chemical free. I always use this product and have never had any problems! So glad to find these! Not only is there no waste of paper, cardboard, or plastic (wrappers or applicators), but the cotton is organic and chemical free! I like these. They are small and easy to carry in a bag when on the go. Used to use a diva cup but just wasn't working great so this seems like a healthy next best option. Occasionally it is challenging to find the piece you're supposed to pull on to unwrap the plastic covering.